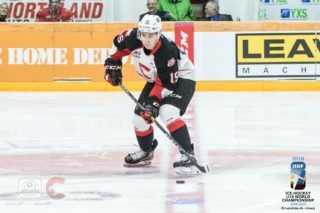 Today, Hockey Canada announced the National Men’s Summer Under-18 Team camp roster for the 2018 Hlinka Gretzky Cup, and the Prince George Cougars’ Taylor Gauthier is one of 44 invitees. Hockey Canada Selection Camp runs July 28th – August 1st in Calgary, Alberta. Those chosen from camp will play for Hockey Canada’s Under-18 Team at the Hlinka Gretzky Cup from August 6th – 11th in Edmonton and Red Deer, Alberta. 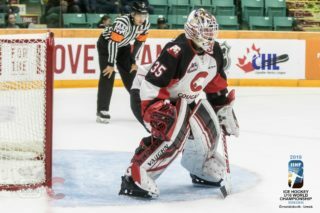 Gauthier is one of four goaltenders invited to the National Men’s Summer Under-18 camp, and one of two from the Western Hockey League. Originally drafted 9th overall, in the 2016 WHL Bantam Draft, Gauthier appeared in 32 games last season, posting eight wins and a .885 save percentage. 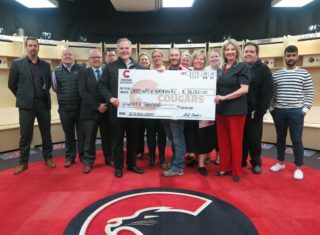 Formerly known as the Ivan Hlinka Memorial Cup, the newly rebranded Hlinka Gretzky Cup is an annual tournament, featuring the best-on-best competition at the Under-18 level. This year’s edition of the tournament is the first time it will be hosted in North America, after moving over from Europe. The event is being co-hosted in Edmonton and Red Deer but Canada will play its round-robin games at Rogers Place. 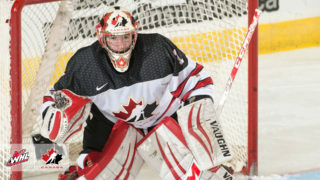 Canada won last year’s event in the Czech Republic, besting the hosts 4-1.